The quest to be Australia's best beer state will be kicked off by New South Wales. 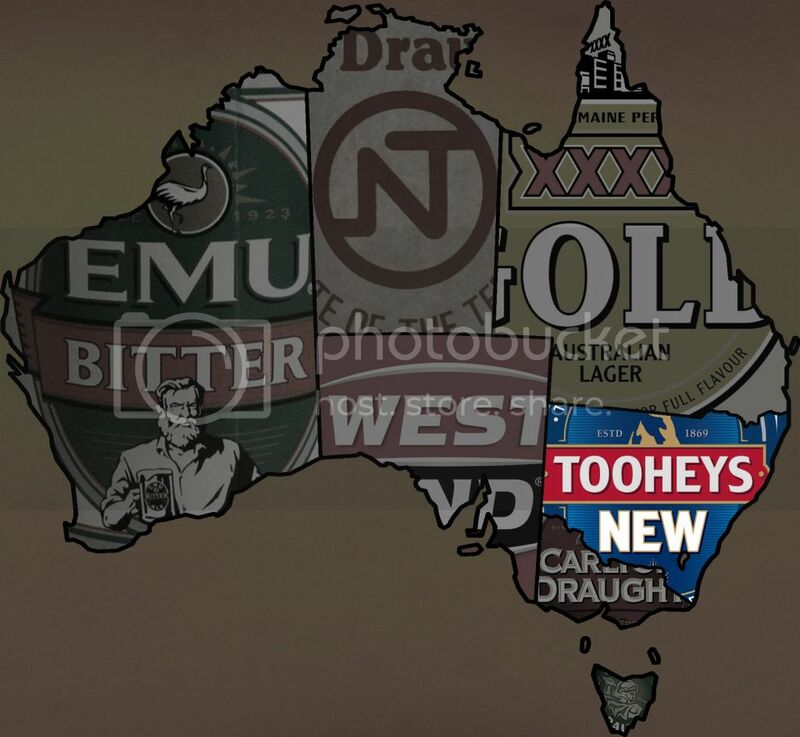 Tooheys New is the main beer favoured by those in Australia's most populous state. It is brewed in the Sydney suburb of Lidcombe and if my memory serves me correctly it's not too bad. New South Wales will also be represented by working class beer Reschs Pilsener, a beer that is now brewed in Melbourne but is still solely sold withing NSW. 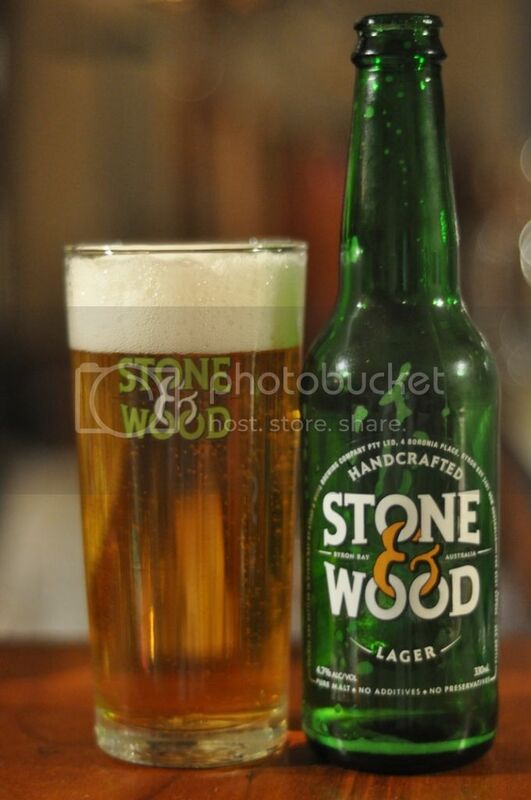 Award winning brewery Stone & Wood from Byron Bay provide the craft lager for this state. First to the states main beer, Toohey's New. I each beer once in a glass and once out of a bottle as these beers are usually intended to be session beers. The pour is a nice deep golden colour but the head is pretty small. There doesn't appear to be much in the way of carbonation that can only help with consuming this in large volumes. 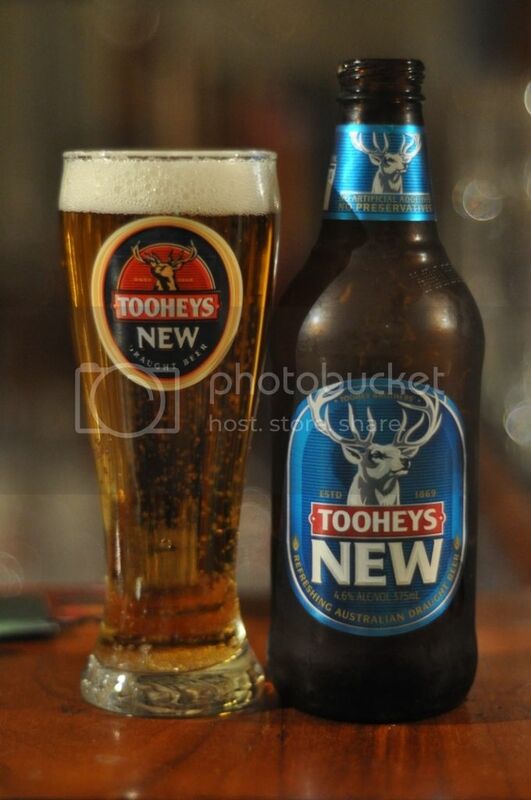 My memory clearly served me correctly, Tooheys New is pretty decent. The nose is nothing special, just your standard lager basically. The flavours are relatively light but all of them are good, the malts are ever so slightly sweet and the hops are a nice spicy grass variety, which provide ample bitterness. In the bottle it's good as well and the drinkability really shows through here as I wanted another after having the two of these. Reschs Pilsener is up second for New South Wales and as it is in the second category this will be judged slightly harder. This is the beer my grandfather remembers drinking when he was younger in Sydney. It hasn't changed much in over 60 years according to him and if the appearance is anything to go by, it's going to be a pretty good beer. 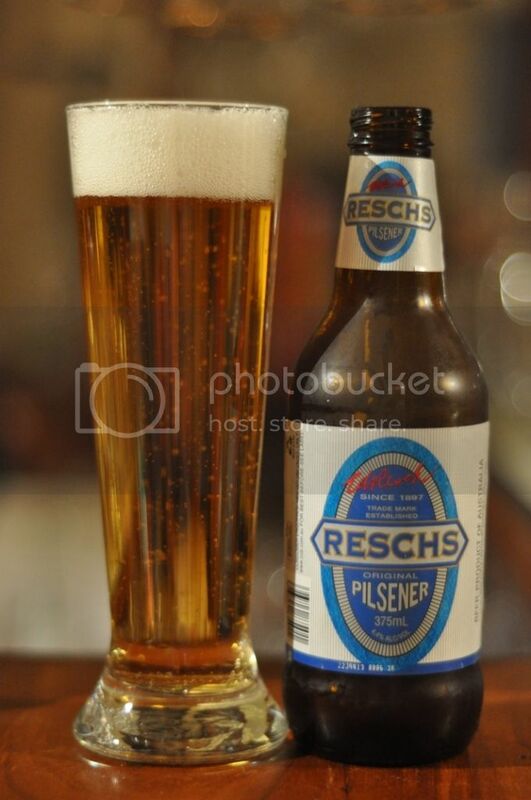 So we have established that Reschs Pilsener looks awesome but the nose is a real surprise though; it's brilliant! It smells like an actual pilsner and after some research I found out that it is classified as a German Pilsner, nice to see an Australian produced "pilsner" that is actually a real pilsner. The flavour is a little cheap and tastes chemically, the drinkability is affected because of this. The colder this beer is the better because as it warms up it becomes nasty. New South Wales' craft lager comes from the party capital of Byron Bay in the north of the state. This brewery is probably best known for their Pacific Ale (reviewed here) but the lager is more than serviceable as well. The pour is the best of the three beers this evening, with a big thick white head being fed by streams of bubbles that help with the retention and lacing of this lager. The aroma of Stone & Wood's lager is quite bland, almost boring if not for some grassy hops as the beer warms up. In terms of flavour it's very similar to Heineken, but the real quality of this beer comes through in the mouthfeel. It doesn't feel at all grainy and is a nice crisp dry lager. It's not my favourite lager of all time but it's pretty decent and the drinkability is really superb, it'd be great for summer. All-in-all I think New South Wales have put up a good challenge for the True Brew title. The take home message from NSW lagers was that they are mostly light on flavour in favour of excellent drinkability. All of these beers would make nice session beers. You've read the reviews, I've recorded the scores and we will move on to Victoria next. We will proceed through the states in reverse order of population and then an overall winner will be calculated. May the best state win!